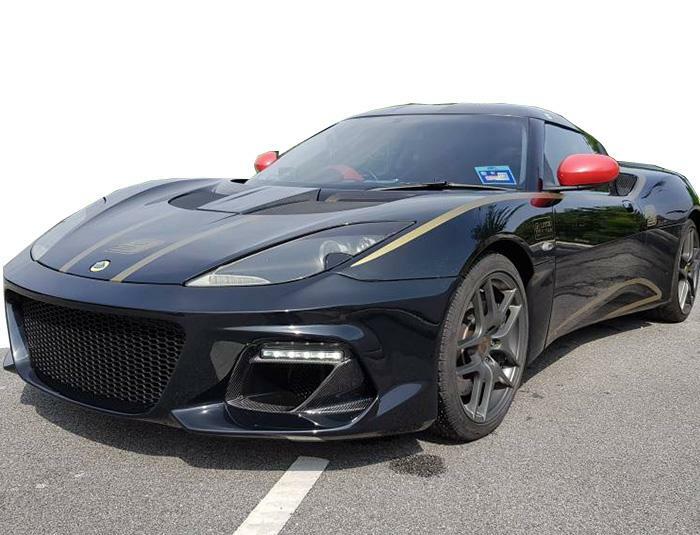 The GT430 is widely seen as one of the best looking Evora models. If you'd like to have your Evora, Evora S or Evora 400 to look like a GT430, here's how to do it! This is the GT430 style front bumper. 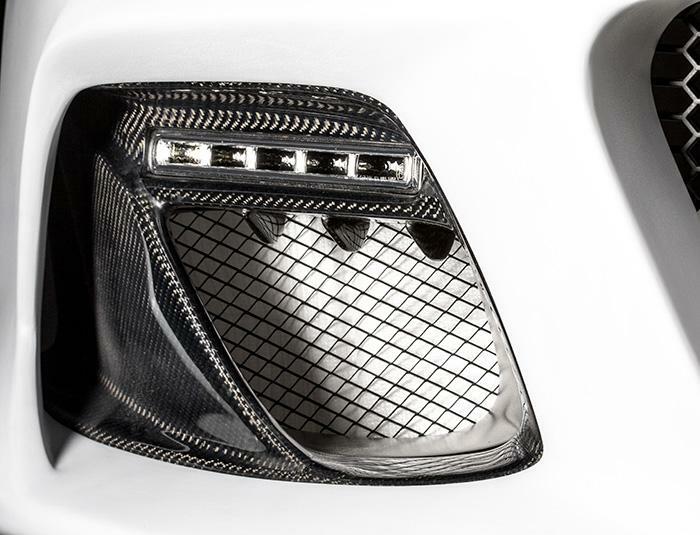 It's got carbon fibre inlays and Daylight Running Lights which come including the drivers. As most people in Europe have to run their cars with front license plates, it also comes with a license plate plinth specifically for this bumper. These bumpers are made out of glass fibre (with carbon inserts) and finished in 2K primer, virtually ready to be sent to the paint-shop. To be honest, we were amazed about the high quality of these parts and even more so about the change this bumper makes in terms of looks! 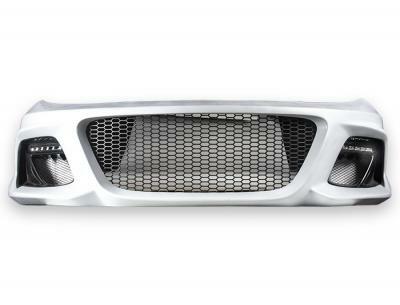 The bumper will fit any Evora NA, Evora S or Evora 400. As these are rather large items (the parcel is 190x60x73cm) we have to ship these using expedition companies rather than couriers. These bumpers can be delivered world wide, but our systems is set up for parcels, so we will need to send you a shipping quote manually. If you want to have a quote, please let us know. These body panels are not original Lotus parts. Although they can be fitted on the models listed, parts of these panels are not interchangeable with original Lotus parts.